Associated Veterinary Services caring and welcoming staff consists of certified veterinary technicians, assistants, terrific receptionists, and four veterinarians. From regular wellness exams and vaccinations to internal medicine, diagnostics, and surgical procedures, our doctors and staff are committed to the health and wellness of animals throughout the Great Falls community. ​​Dr. Newman is a Great Falls native who has been with the practice since 1984. ​He has over 30 years of experience in Small Animal and Equine medicine and surgery with a special interest in Equine Reproduction. He graduated with honors from Washington State University and was an Attending Veterinarian at a Thoroughbred Breeding Facility in Spokane, WA. Dr. Newman is married with two teenage sons. ​Dr. Bares is a North Dakota native who graduated from Iowa State University Veterinary School in 2001. She has been practicing for over 13 years and with our clinic for years. Dr. Bares has a special interest in small animal surgery, medicine and dentistry. She would love to see to your horse's needs as well! Dr. Bares is the loving owner of 2 dogs, Pez and Squeekers. Dr. Kelli Kolar was born and raised on a farm and ranch in the Raynesford area. She attended school in Belt and received her undergraduate degree from the Montana State University in Bozeman. ​Kelli went to Veterinary school at Colorado State University. 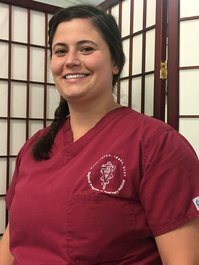 She joined the Associated Veterinary Services staff in May 2016. 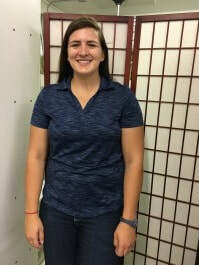 Kelli’s love of animals includes her ability to care for cats, dogs, horses, cattle, sheep and goats. ​Dr. Kolar will travel to farms to treat livestock. Dr. Anna Sims is a Great Falls native and a Great Falls High School graduate. She received her Veterinary degree in 2016 from Washington State University in Pullman, Washington. ​Anna has a great love for cats, dogs and horses. She is the proud mama of a one-eyed cat “Hootie” and canine pal named “Presley”. Anna loves the outdoor activities like hunting, camping, fishing and riding horses. ​We are glad that you have chosen to trust us with the care of your pets. We take that trust very seriously and strive to provide the best and most modern equipment and treatments. Our veterinarians, technicians, and staff regularly attend continuing education seminars to help us achieve this goal.